Jennifer Barr is an experienced professional in Higher Education Administration, with emphasis on Career & Professional Advising, Pre-Law Advising, and Student Affairs. She is currently the Director of Career Engagement and Initiatives and Assistant Dean at Haverford College, recently celebrating her 20th anniversary. Jennifer has been a volunteer in EACE since 1998, serving on the Board of Directors as President and Director of Membership. During her tenure, she developed initiatives such as Road Trips to the Real World as Chair of the Liberal Arts Network, Group Memberships as Membership Director, and a three-year Strategic Plan as the 2013-2014 President. She most recently organized Community Service for the 2018 EACE Conference in Reston, VA.
Dorothy Hayden is the Industry Advisor for Engineering Careers with George Mason University’s University Career Services (UCS). Dorothy serves as the Liaison to the Veterans Service Office and the Student Support and Advocacy Center at George Mason. 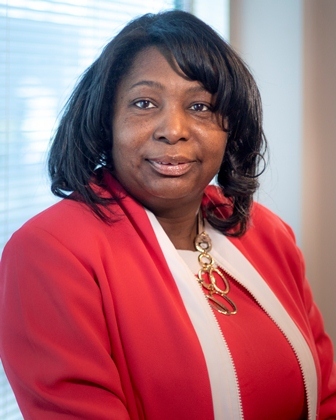 Prior to joining the UCS Team, Dorothy was the Assistant Director of Career Services and Internship Director for the Shepherd Poverty Program at Virginia Military Institute. Dorothy has volunteered with EACE since 2015. Through volunteering with EACE, Dorothy has been able to work in high-performing teams and build lifelong friendships with colleagues in the region. Dorothy’s first volunteer role was serving as the Conference Service Co-Chair. As the Service Co-Chair, she built out two workshops focused on interviewing and networking for 60+ clients at Philadelphia Works. The Service Co-Chairs led fundraising efforts to raise more than $1200 for the Veteran’s Multi-Service Center of Greater Philadelphia. Dorothy also worked with the initiative to create the Assessment Resource Center and served as the Co-Chair for the Outcomes and Assessment Committee. Dorothy currently serves as the Co-Chair of the Technology Committee. Laurent Troland is the Assistant Director for Employer Services at Bridgewater State University in Massachusetts. 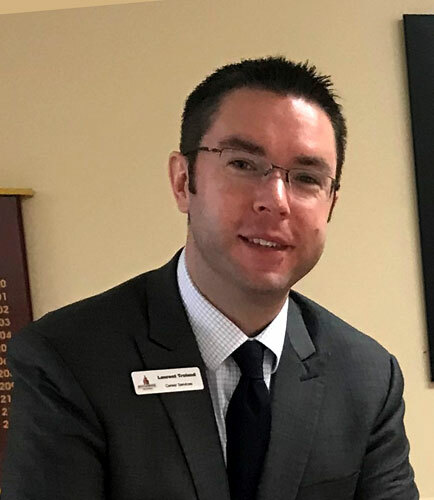 He has worked at Bridgewater State University since 2007 in the roles of Career Counselor, Recruitment Coordinator and Acting Internship Advisor. Prior to arriving at Bridgewater State University, Laurent received his Master’s degree in Counseling in Higher Education from the University of Delaware and a Bachelor of Arts degree in Psychology from the University of Connecticut. He has been an active member of EACE since 2012 having served on committees including Road Trips to the Real World, Annual Conference Hospitality/New Comers committee, Annual Conference Pre-Conference Committee and the Diversity & Inclusion Committee. He currently Co-Chairs the Grants and Scholarships committee and is a member of the Annual Conference Programming committee. He looks forward to his continued involvement with EACE to stay connected with colleagues and to have the opportunity to meet and network with additional professionals in the field. Tracey joined Community College in October of 2008.In her role, she is responsible for assisting students with the development of professional documents and job skills so that they are better prepared to meet with employers. She also oversees the Career Peer Leadership Program and other aspects of work study. Her mantra for work is a hashtag that she usually opens up her presentations with: #ilovemyjob #ilovemycareer! She is an active member of the Eastern Association of Colleges and Employers where she sits on the Conference committee and is the co-chair for the Entertainment subcommittee. In the past, she has served on Grants and Research; and the Assessment and Outcomes committees. She holds a Bachelor of Arts in Rhetoric and Communications from Temple University and a Master of Arts in Professional and Business Communications from LaSalle University (May 2017). She is the secretary for the C.A.L.M Society and she organizes a fundraiser for the PA Breast Cancer Coalition called the Breast Cancer Pink Tea that is held every year to honor survivors. In addition to her community service activities, she is a mother and an entrepreneur. 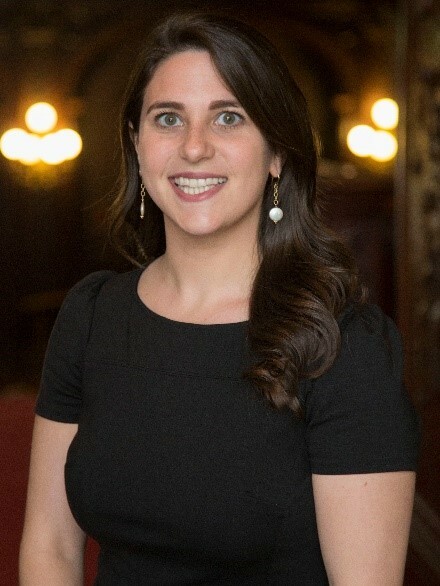 Mia Wittels is the Assistant Director for Industry Advising at Villanova University. Prior to her role at VU, Mia worked for Arcadia University’s Office of Career Education for four years. During this time, she joined EACE and became an active member in the organization. She started her career as a member of the Technology and Professional Exchange Committee, and is now a Co-Chair for the Connections Committee. Over the past 10 years, Mia has developed a passion and talent for assisting individuals in identifying educational and professional goals, and connecting employers with diverse talent. Mia holds a Bachelor’s Degree from The George Washington University and a Master’s degree in Higher Education Administration from the University of Pennsylvania. 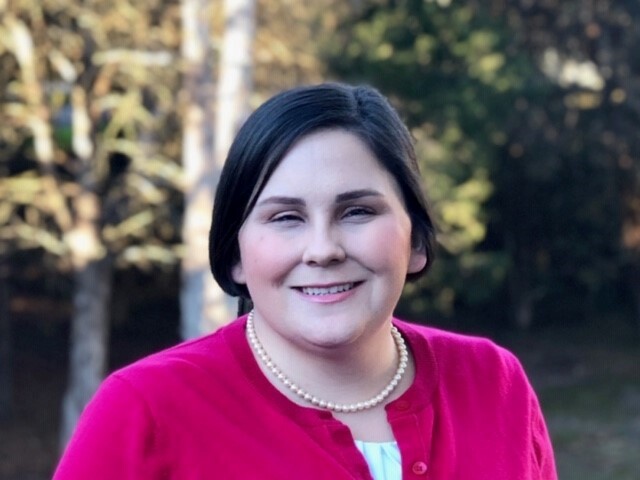 EACE has been instrumental in Mia’s professional development as a career educator, and she is excited to continue to learn and grow within the organization. Lisa McGuire, Assistant Director, Corporate Partner Relations, connects employers to the UConn student and alumni community. She supports programs and recruits and consults with employers on best strategies for establishing and developing effective recruitment programs for internships and full/part-time employees as well as fundraising efforts for career-related events. McGuire joined UConn after spending more than 25 years in the business community in Connecticut. Most recently, she was with the Ct. Business & Industry Association (CBIA), working with large and small businesses on public policy, communications, and community relations. Prior to joining CBIA she was with People’s Bank, managing their community relations and public policy programs. 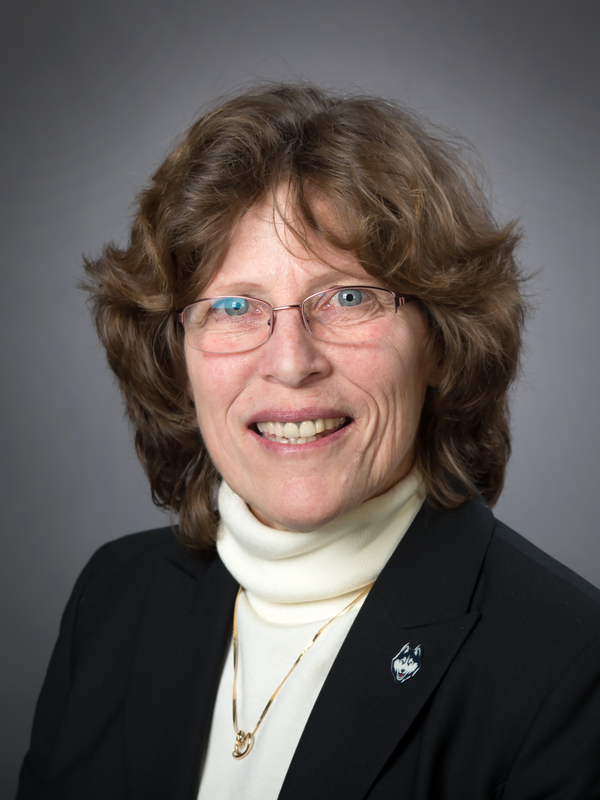 She has served on and chaired numerous boards, including Operation Respect CT/Don’t Laugh at Me, the Hartford Area Child Care Collaborative, the Commission on Compensation for Judges and Elected Officials, the Ct. Council for Philanthropy and the Ct. Child Day Care Council. Lisa has also been active in the UConn Alumni Association, serving on the Board of Directors, and currently volunteers for the Greater Hartford Chapter. Description: UConn connected campus Cultural Centers and groups with parallel corporate Employer Resource Groups (ERG) by bringing recent corporate hires, who are a part of those ERGs, to campus to talk with students who share similar backgrounds, values, upbringing and understanding. There were 4-5 employers on a panel that addressed 3 primary items: What is an employer resource group and why join? Is a company just checking a box when recruiting diverse candidates? What is the hiring schedule for a job or internship? And what is a leadership development program? Program Description: The Experiential Learning Unit in the University Career Center & The President’s Promise at the University of Maryland-College Park is comprised of six embedded Program Directors serving colleges/schools (College of Agriculture & Natural Resources, College of Arts & Humanities, College of Behavioral & Social Sciences, College of Computer, Math & Natural Sciences, School of Public Health and the Graduate School), a Program Director working broadly on internships in the Center and seven Graduate Assistants serving in either the college space or the main Center. The unit reports to the Center’s Senior Associate Director and is charged with integrating experiential learning and career development deeply within the assigned colleges and across campus more broadly through initiatives and partnerships such as the Canvas Commons Career Assignment Integration project. 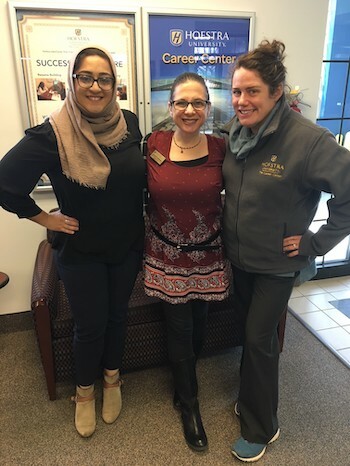 Sabeen Sheikh is the Assistant Director, Outreach and Special Programs at the Hofstra University Career Center. She also serves as the liaison to the College of Liberal Arts and Sciences which comes naturally to Sabeen as she hold two liberal arts degrees, a Masters from Baruch College in Mental Health Counseling and a Bachelors from New York Institute of Technology in Psychology. Sabeen’s previous work experience includes strength based counseling, domestic violence, career counseling and student leadership development. Additionally, Sabeen in currently pursuing her doctoral degree in Educational Leadership from Hofstra. Liz Sposato is the Hofstra University Career Center's Senior Associate Director of Career Development and Assessment. She holds a Bachelor's degree in Business Administration from Boston University and is a Hofstra alum, where she obtained her Master's degree in Counseling. Liz has worked in higher education for many years, specifically in academic advisement and career services. Prior to making a career change, she worked in digital marketing technology, which helps her relate to students she liaises with in the Fred DeMatteis School of Engineering and Applied Science. Darlene Johnson is currently the Director of External Relations in the Hofstra University Career, but has worked in higher education career services for many years. Prior to that, she held positions in various aspects of the music business, including working for two entertainment law firms, a music magazine, and a record label. She also has experience as a corporate recruiter. Darlene was happy to finally find her passion in career services. She holds a Bachelor’s degree in Psychology and a Master’s degree in Career Development. The Escape the (Haunted) Career Center was designed after the popular Escape the Room activities, with our version including clues that took students through the job search and career decision process. To assure students participated, we partnered with the Office of Student Leadership and Engagement to offer student organizations the opportunity to compete against each other for prize money that would be deposited into the organization’s budget for the organizations that were able to escape the quickest. The Escape the Career Center program was held on Fridays throughout the month of October, a typically low traffic day in our office. When a student group arrived, a Career Center team member reviewed the rules of the game and teams were given 30 minutes to complete the puzzles. Each solved puzzle provided clues to opening the next locked box with a new puzzle. 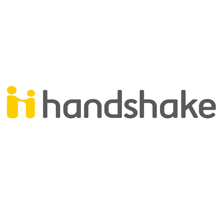 As the groups worked together to solve the problems, they logged into Handshake, reviewed information on Vault, proofread cover letters, and learned about upcoming events. When they solved their last puzzle, they were notified that they had gotten the job and had officially escaped the Career Center! Each session ended with a debriefing from our staff. 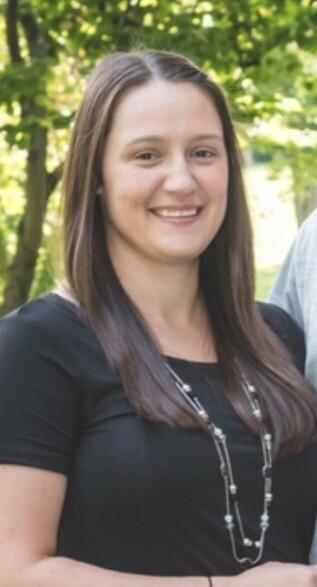 Joanne Ott is the Assistant Director for Program Assessment and Operations at the Steinbright Career Development Center at Drexel University. She has worked in higher education for 9 years with previous experience in non-profit management. She holds a Masters’ degree in Higher Education Administration with a concentration in Student Development & Affairs from Drexel University. As Assistant Director, she oversees all aspects of Steinbright data collection and distribution including planning, review and reporting to ensure accuracy and a uniform message. 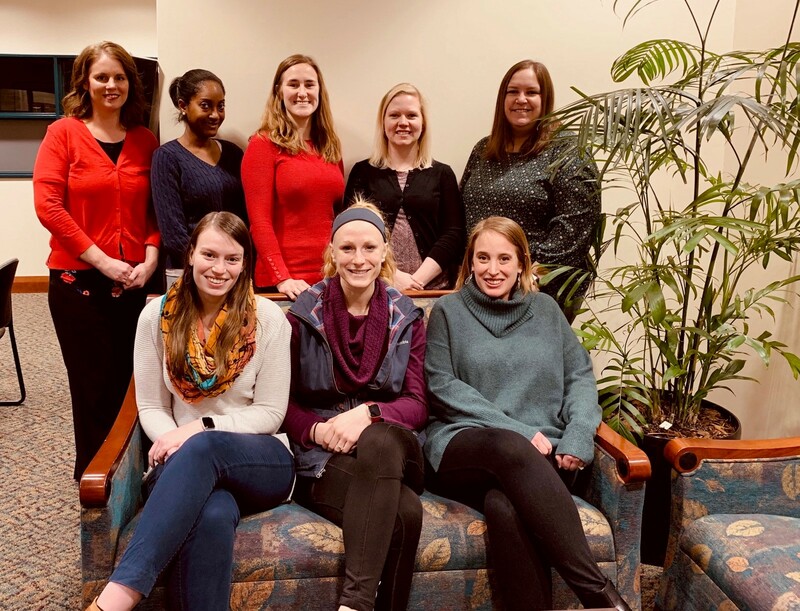 Her team compiles program data to analyze and report statistics related to Steinbright strategic goals, annual reports, recruitment efforts, salary data, national/international co-op and job development to assist with strategic decisions. In her role, Joanne has also collaborated with academic departments and faculty to conduct various research projects using Drexel’s cooperative education data. Their work has been presented at several industry conferences include Cooperative Education and Internship Association (CEIA) Annual Conference, Drexel’s Annual Conference on Teaching & Learning Assessment, and WACE International Research Symposium. Program Description: After each co-op experience at Drexel University, students are required to complete an evaluation of their position which includes both information about their positions as well as reflective and career development questions. Employers are also asked to evaluate their students at this time. This feedback is critical in assessment of our students and our programs and is consistently shared with academic partners as well. Over 98% of Drexel students complete at least one co-op experience, and of that population over 98% of co-op students complete these evaluations. 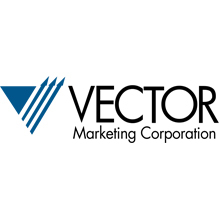 Employer participation is voluntary and annually calculated at 60%. This provides the Steinbright Career Development Center with an immense amount of robust data about student experiences while on co-op.In the 2018 academic year, the Steinbright Career Development Center put these evaluations into review to better align them with both internal and professional association standards, focus in on student learning and career development, and encourage thoughtful and intentional performance review. Multiple university partners were consulted for their expertise, our academic partners were offered the opportunity to contribute college-specific questions, and staff stakeholder feedback was sought as well to ensure the creation of an even more robust and useful tool on both an individual as well as an institutional level. This award honors outstanding and lasting contributions of such magnitude and quality to both EACE and the advancement of the field at-large as to merit public recognition and acclaim. This award honors outstanding models and/or best practices in programs and/or operational assessment processes. This award honors outstanding program development in recruiting or career services that can serve as a model program for others in the field to replicate. This award honors those who have made outstanding contributions and demonstrated innovation in the field of minority affairs and special populations. Recognizes members who have consistently contributed to EACE through service and participation on committees, presentations, and conferences. The recipients of this award have had at least 6 years of involvement within the organization. Recognizes those who have made outstanding contributions through their involvement in EACE with a membership of at least 3 years or greater. Recognizes those who have made outstanding contributions through their involvement in EACE within the first 3 years of membership.